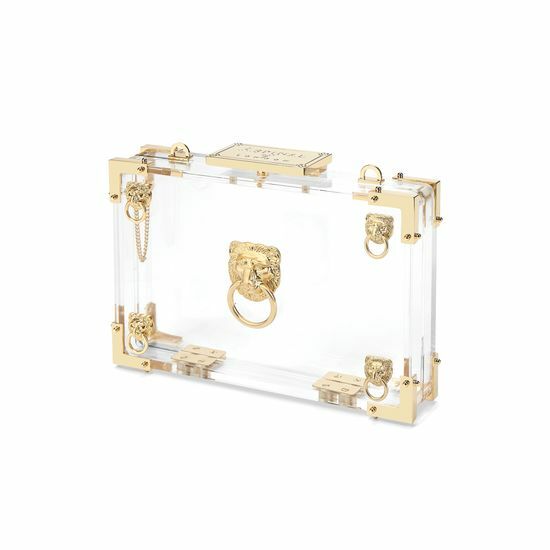 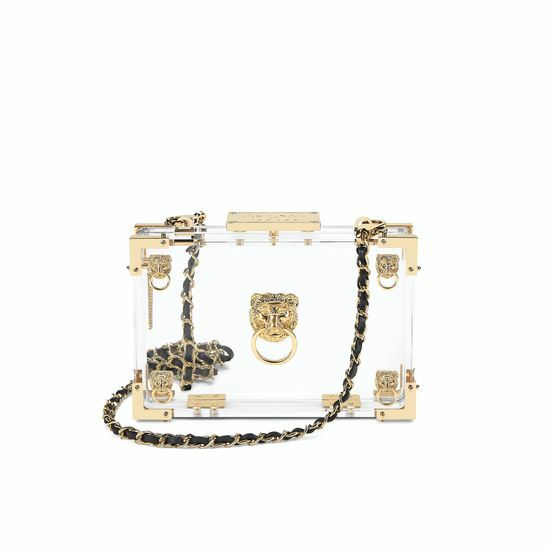 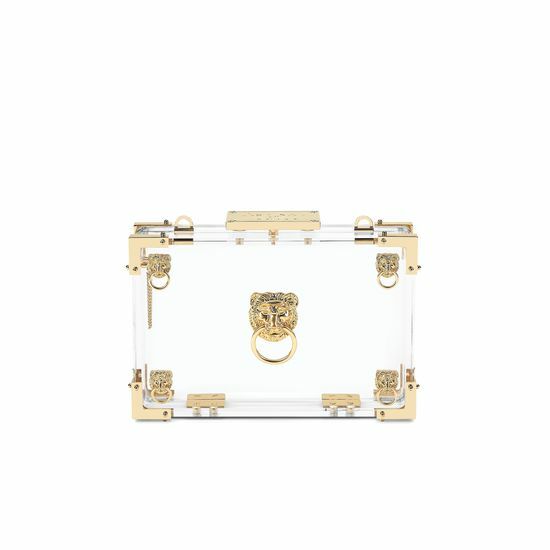 Our majestic lion's head hardware takes pride of place and safeguards our Box Clutch on a daringly glass-like transparent acrylic backdrop, for the woman who carries no secrets. 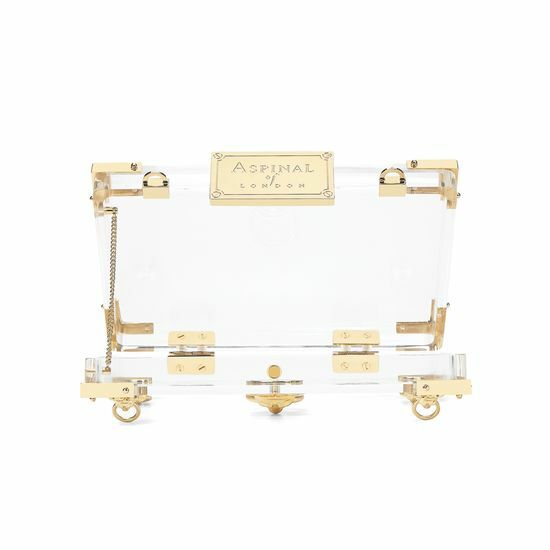 Each piece is individually hand crafted by master craftsman using hand formed solid brass hardware finished in gold. 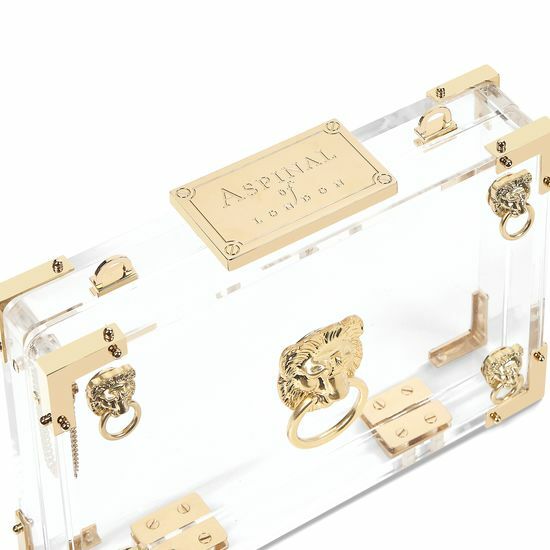 Choose from our extensive range of zip pouches, heart coin purses and credit card cases to discreetly store and organise your essentials.